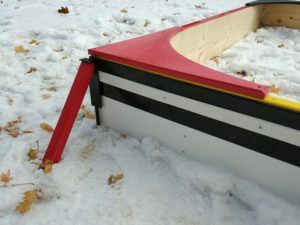 Another multi-functional product from The Ultimate Outdoor Rink. Bring out the rink master in you. 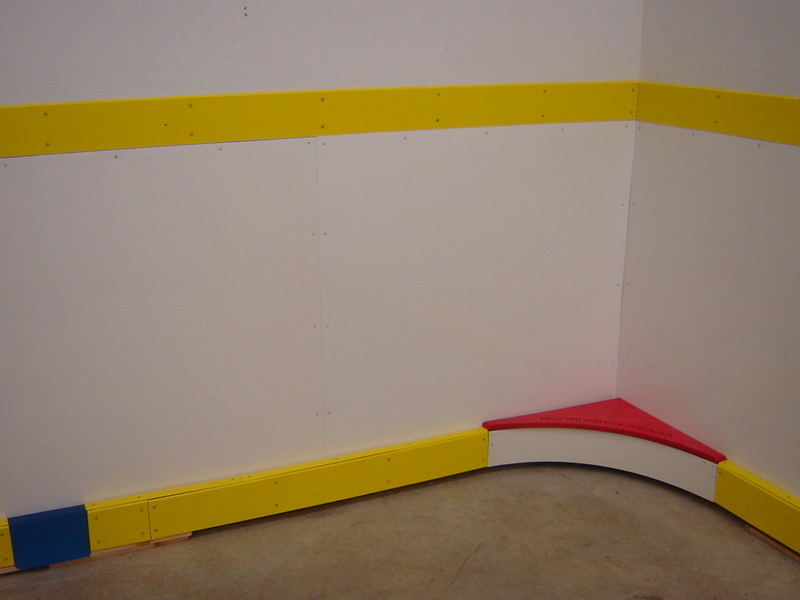 Use your TEP (Top Edge Protect) , Corner Seats and PuckGoRounds on your Ultimate Sand Box too. It is yours to discover! 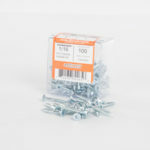 This is a Presto Install accessory. What is a Presto Install? 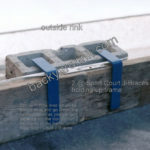 It is an accessory that takes little time and effort to install when assembling your Ultimate Rink. Get the Ultimost from your Ultimate. It’s for you!! The best of the best of the best. Available in a set of 4. Our Corner Seats are drilled, counter sunk and have bevelled edges. Currently available in black, blue, red and yellow, they are 7/8″ thick x 24″ x 24″ with a 35″ arc length. 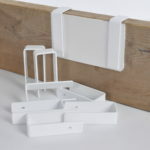 The seats will act as a seat for your child or a storage unit for your pucks or beverages. If you wish black Corner Seats we now stock this color. The Vegas Golden Knights and many other pro teams use black as one of their uniform colors. Hi lite your rink with black accessories for a stunning look. Don’t worry about black as a color as long as you do not install black at ice level. See out 25th Anniversary Rink for black hi lights at their best or see below. 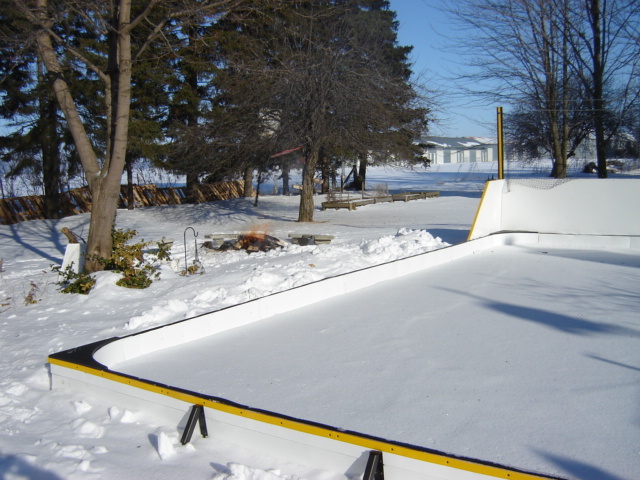 Make your Ice Rink yours! Many color options to choose. 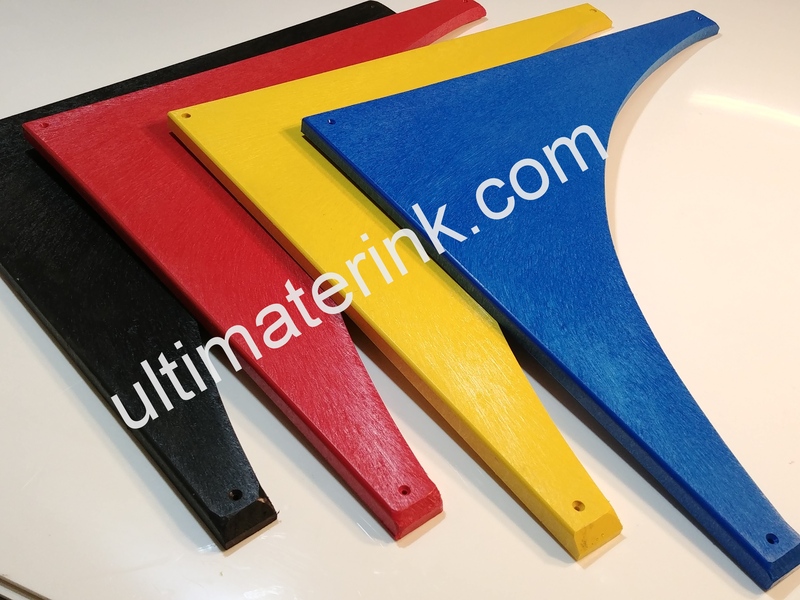 Ice Rink accessories in Ultimate Rink style. 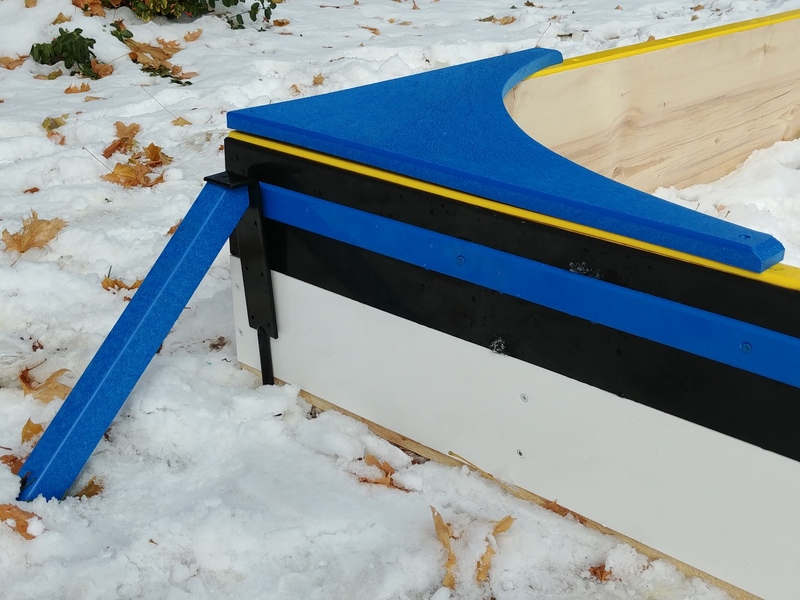 Check out our Most Functional Corner System video to see how to make storage compartments in your very own Ultimate Rink! 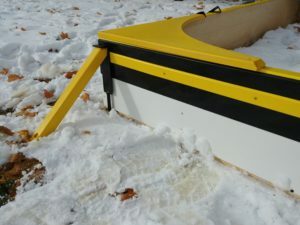 Utilize them as your sandbox corner seats in the summer or turn them into storage areas for your ice rink or your Rec Room Rink. Now that’s functional and versatile. 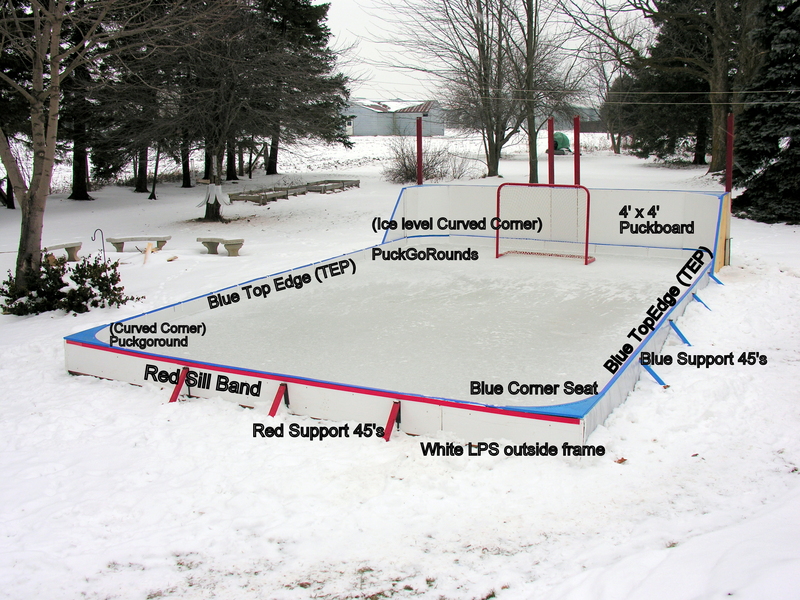 Many Design options for the 25th Anniversary Pro Panel Rink. New Rink Builders: Set Yourself up for Success! These three things are CRITICAL to your success! TAKE CARE OF YOUR BEST ASSET, YOUR LINER! 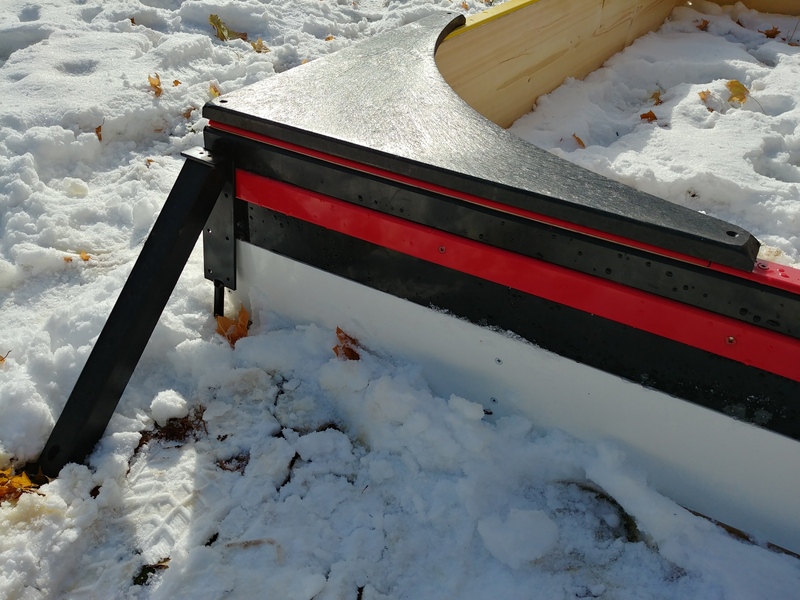 Even though we have engineered the strongest rink poly this year…EVER….and even stronger than any 6 mil product we have tested you still should never take any thing for granted. Do not drag your liner. Do not walk on it when assembling your rink. If you must then you do so on your own risk. It amazes us on a yearly basis those few rink builders .05% that think it’s OK to walk on their best asset as it sits atop gravel, field stubble etc and then wonder what happened when they have punctures. 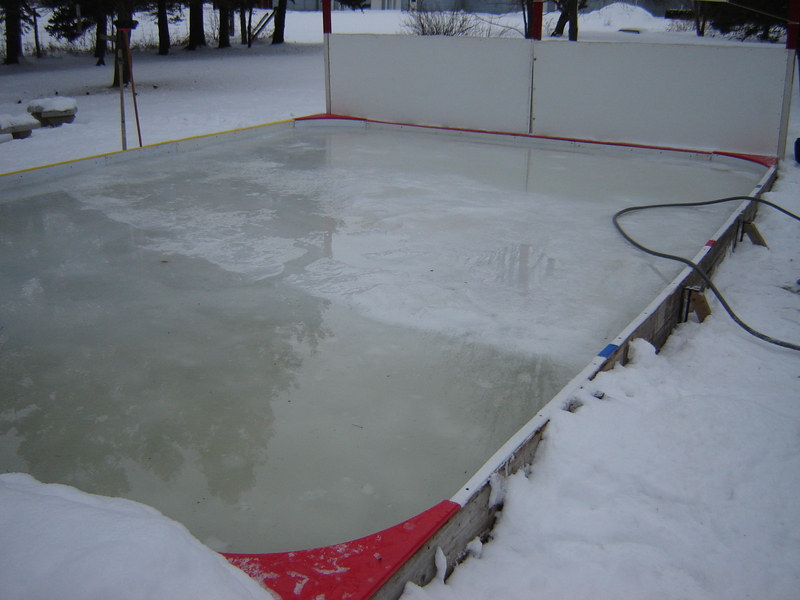 If you are using a water truck to fill your rink please note: Water truck and any rink framing protrusions are a bad combo for snag tears to your most important asset, your liner!!! 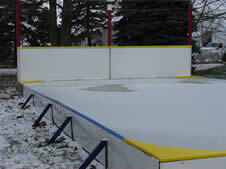 This is due to the extreme force by heavy fast moving quantities of water as it fills your rink. “7 Mistakes Made by Rookie Rink Builders” for a few more tips. Your essentials are hand-picked products for you by our pros at the Outdoor Rink team to compliment your selection. They will appear once you start adding items to your cart. The best way to stay up to date with the latest product releases. Join our mailing list or like us on Facebook.